Ulysse Nardin FREAKLAB White Gold Limited Edition 99 Pieces. Technically this watch does not have any hands, no dial, and no crown to wind the watch, yet is a Tourbillon with winding movement with 7 day power reserve. 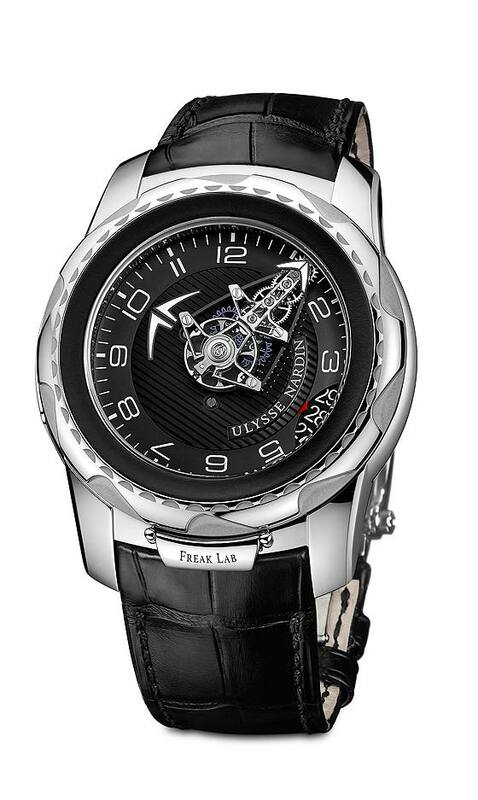 45mm white gold case with winding Flying Tourbillon movement. Introduced in 2001, the FREAK model took the world by surprise. To this day it is considered the most advanced technical watch in existence and the first one to incorporate the use of silicon parts. Available on elegant crocodile leather strap with folding buckle.